NEW! Straight from Borneo, the third-largest island in the world, comes our Green Vein Kratom Leaf powder. This is a unique and quite gentle strain of Kratom, which we are pleased to offer to our valued customers. This is the POWDERED version of our Borneo Green Vein Powder, a Top Seller here. NEW! Straight from Borneo, the third-largest island in the world, comes our Green Vein Kratom Leaf. This is a unique and quite gentle strain of Kratom, which we are pleased to offer to our valued customers. 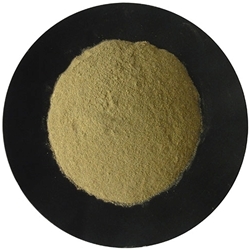 This is the POWDERED version of our Borneo Green Vein Powder, a Top Seller here. In its native country, White Vein Kratom has a reputation for an energizing Kratom incense. Sustainably harvested and grown, carefully dried, and processed in low heat, White Vein Borneo Kratom sure to delight even the most seasoned Kratom aficionados. This is a close relative; the Borneo Green Vein Powdered Kratom Leaf. Known to be gentler and more soothing, this item became a Top Seller as soon as it was introduced. All of our Kratom is verified authentic by Columbia or Wonderland-Labs, and we only choose the highest quality Kratom leaf and powder from verified sources. Nearly 2 decades in business, we have a wide variety of sources, and only the best sources make it through our strict screening process. Why trust Borneo Green Vein Kratom powder from anywhere else?